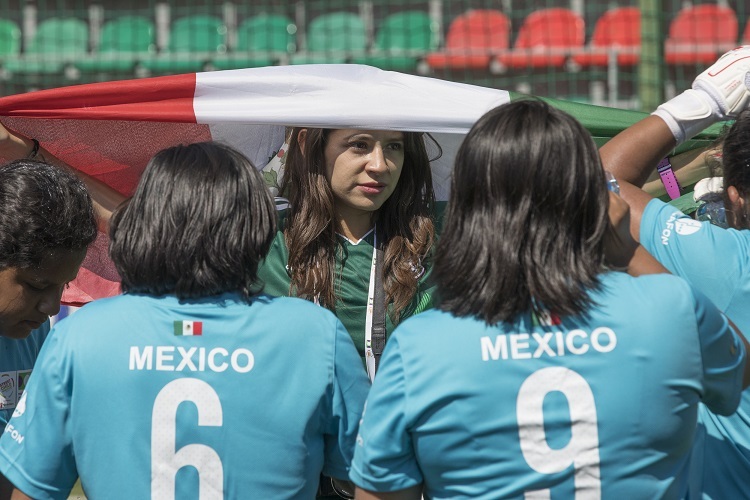 “This is a story that I want to tell when I’m older,” said Team Mexico girls’ Sandra Paola, following the opening ceremony of the 2018 Street Child World Cup in Russia. On a bright, sunny Friday morning in north east of Moscow, the football kicked off with over 200 children from 20 nations embarking on a life-changing experience that extends well further than the pitch. Twelve teams of girls from various nations are competing in a groundbreaking football tournament that provides the optimal platform for street-affected children from all over the world to unite and change the negative treatment they receive in their lives. “I have never played football before, but the opportunity was given to me to play and I am very excited to take this opportunity and make the most of it,” said an excited Sandra Paola, from Mexico City. The children who are participating in this incredible initiative set up by the Street Child United charity are in the Russian capital to raise awareness for those who have been socially neglected within their own respective nations, as they use the beautiful game to finally have their voices heard. “It is very important for me. I am very proud of myself to be part of this, and I am very excited to be able to support all the children in Mexico who have been in the same difficult situations as me,” added the player from the Mexican capital. A team comprising various individuals who have faced street-related struggles in the early stages of their lives have travelled outside of the country for the first time, with some of the girls obtaining their very first passports. One of the principal struggles for the affected girls is obtaining legal identification within society, due to being neglected and misunderstood by the public. Within the event, the world’s most popular sport acts as an entry point for all the girls representing their respective nations to unite and share their powerful stories together in a bid to educate the world on street-connected children, whilst playing some great football along the way. “First of all, I want to win with my teammates, but secondly, this is a story that I want to tell when I’m older,” said Sandra Paola. In April, Brazil secured their seventh title in the Copa America Femenina in an exciting tournament which showcased once again the vast progression of the women’s game. This May, three Latin American teams – Bolivia, Brazil and Mexico – will be poised to emulate their talented idols. Read about the tournament itself HERE and check back for more stories from the Street Child World Cup & also go to: https://www.streetchildunited.org/our-sports-events/street-child-world-cup-2018/ for more info.